By now, we’re all more than well-acquainted with the idea that Mike Tyson loves to smoke the dope, pass the duchy and hit that sticky. 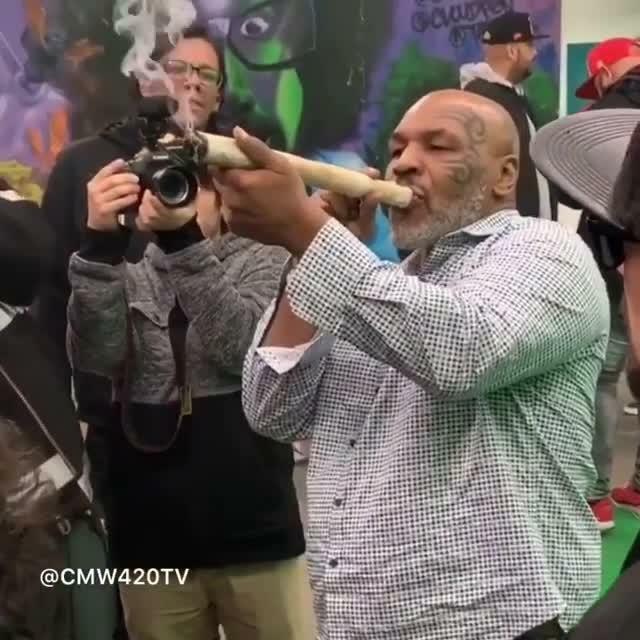 If you’re not aware of Tyson’s love for Mary Jane, you might be surprised to know that once parts of the US legalised weed, he bought a forty-acre cannabis ranch in California, and has invested in research of the medical benefits of smoking pot. All of this goes a long way towards explaining why they former world champion boxer was pictured smoking a f**ken massive joint at a recent weed festival. 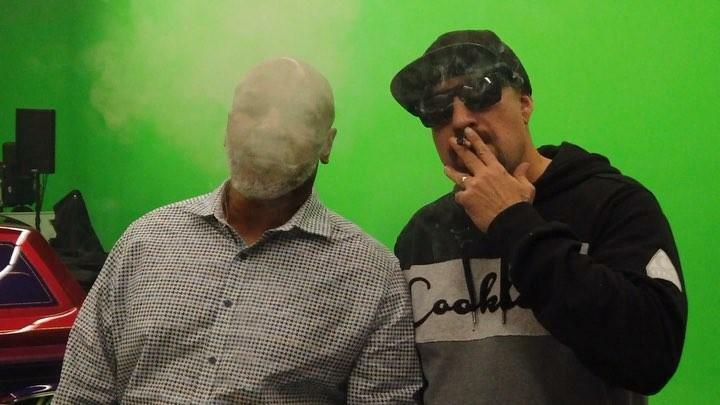 So, in the spirit of everything pot-related, the video is part of Tyson’s podcast, Hotboxin’ and also features B-Real from Cypress Hill. 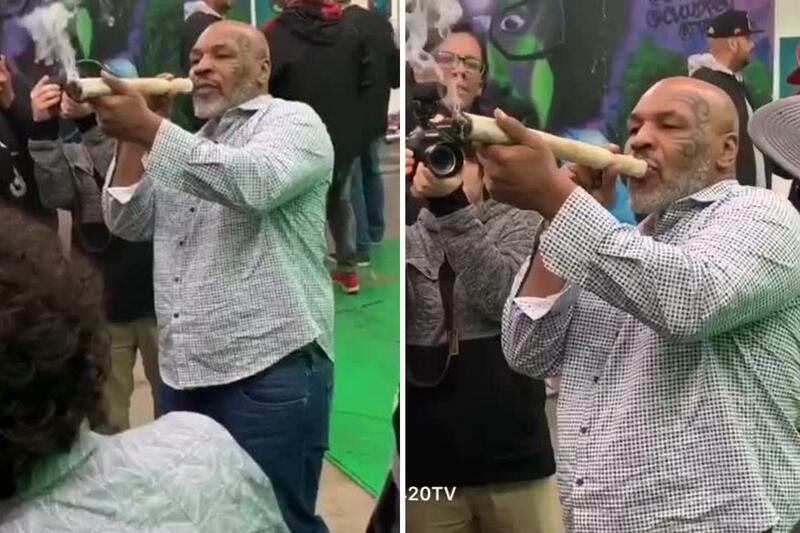 Apparently, Tyson was hanging out at the festival when he was given the chance to hit the foot-long joint. We’re not sure if the weed was his, but his s**t is supposed to be pretty bloody good. You probably remember that Conor McGregor was recently pictured smoking some of Tyson’s own brand of pot, and obvious marketing aside, that’s probably a good thing. Experts reckon that over the next few years, legalised marijuana is gonna make people f**ken billions. 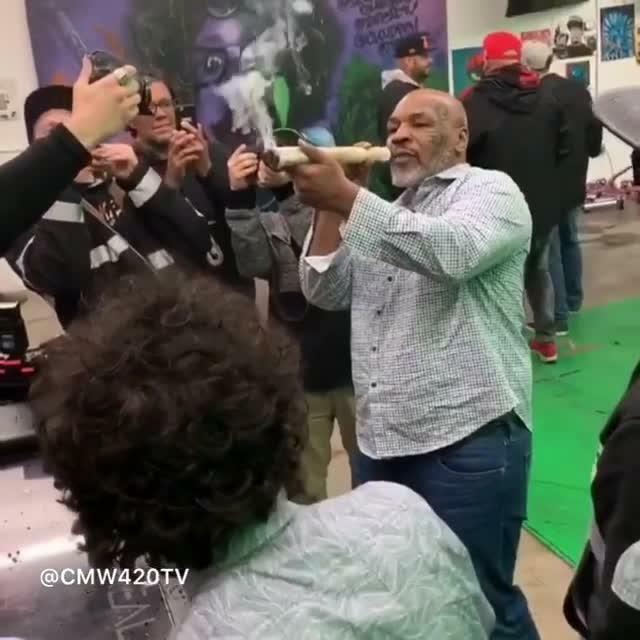 Tyson himself is a staunch believer in the medical properties of marijuana and even has his own school for prospective weed farmers called The Tyson Cultivation School. Apparently it costs an arm, an ear and a leg to enrol. Anyway, moving on, in the video, you see Tyson and B-Real standing around while Tyson puffs on one of the biggest joints we’ve ever seen. Deadset, that thing looks like a f**ken club. In fact, it’s so big, it takes Tyson a fair bit to really get it cooking. Once he does, you just know there’s enough high-grade pot in there to get everyone nice and hungry. Similarly, in B-Real’s podcast, Tyson starts off by coughing his guts up, and everyone knows that you’ve got to cough to get off. No wonder the dude sounds so chilled – despite the fact he could quite easily rip heads off. Final thought: Anyway, kudos to whoever rolled that spliff. It’s a f**ken monster, and if Tyson reckons it’s good s**t, we’re not going to argue.